Posted on October 13, 2015	by Rev. Joe Jagodensky, SDS. The blind guy approaches Jesus and Jesus asks him, “What do you want?” as though a laugh track would surely follow if it were a situation comedy. His disciples keep the blind guy at bay because the blind guy is disturbing the big guy but the big guy requests the blind guy’s presence and asks blind guy the stupidest question ever asked of another human being. But is it? Perhaps the blind guy is comfortable with his not seeing the lottery numbers he buys each week but now wants Jesus to just give him the winning jackpot numbers. Perhaps the blind guy is blinded to his many failed relationships and he’s alone yet again. Perhaps the blind guy is blinded to the many sins he’s committed even though society’s turned a “blind eye” but his faithful gut sees clearly. Perhaps, and this is the last one, that the blind guy is just blinded to all within him and he’s hit a fork in the road and can’t tell his left from right because…. well, he’s blind. Jesus, as always, asks the right question and response to the right person. “Get behind me Satan,” he says to Peter when Peter told him there’s a easier way out for him in this salvation history story. “You don’t give leftovers to dogs,” says Jesus to the woman on her knees. “Look for yourself and poke your fingers into my side,” Jesus said to Doubting Thomas – but please wash use Purell when you’re finished. “Peace be with you,” Jesus says to his troubled apostles as they conveniently hid themselves away after his crucifixion. The miracles of Jesus are miracles because they begin with him and are then completed within us. Miracles are not really miracles because it’s the simple acknowledgment that there is more that lies before and lives within us. With the help of Jesus, we are able to accomplish it. Our blindness is about being side-swiped, back-ended or hit head-on and our sight is dimmed if not diminished. The miracle of Jesus is that they are not miracles. Miracles are something out of nothing. That’s not the Jesus MO. Jesus empowers us to uncover what already lives and breathes within us. Jesus reawakens our slumbering sleep. Jesus wakes us up. Jesus invites those sleepy qualities of peace that we thought we lost but can truly never lose – perseverance, strength, wisdom, prudence, knowledge and fear of the Lord breaking the Rip Van Winkle patterns of our lives and perform the un-miraculous but miraculous gift of awareness. Blind guy doesn’t need sight, he needs insight. Blind guy doesn’t need Lasik surgery but needs divine qualities to help him stop those fruitless lottery purchases and to seriously consider who he is and who he is with when he meets a prospective mate. There is nothing magical about it. It’s a miracle between you and Jesus and then honored and celebrated and offered back to God with all of us in this church. 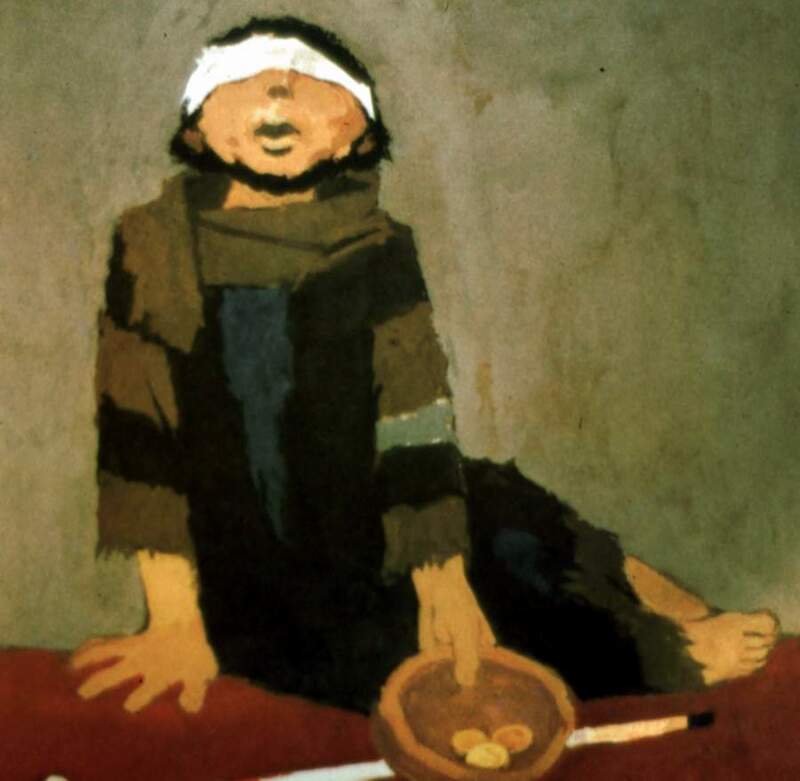 This entry was posted in Spirituality and tagged Bartimaeus, blindness. Bookmark the permalink.